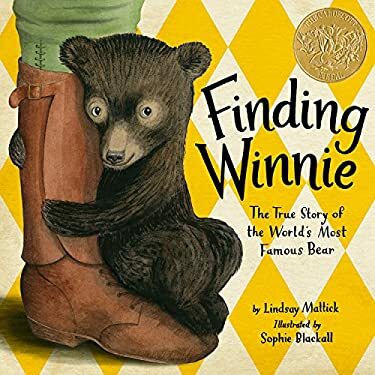 A #1 "New York Times" Bestseller and Winner of the 2016 Caldecott Medal"""Before Winnie-the-Pooh, there was a real bear named Winnie."" And she was a girl "In 1914, Harry Colebourn, a veterinarian on his way to tend horses in World War I, followed his heart and rescued a baby bear. He named her Winnie, after his hometown of Winnipeg, and he took the bear to war. Harry Colebourn's real-life great-granddaughter tells the true story of a remarkable friendship and an even more remarkable journey--from the fields of Canada to a convoy across the ocean to an army base in England... And finally to the London Zoo, where Winnie made another new friend: a real boy named Christopher Robin. Here is the remarkable true story of the bear who inspired Winnie-the-Pooh. New (285 available) BRAND NEW. Over 1.5 million happy customers. 100% money-back guarantee. Make your purchase count: support Better World Books' worldwide literacy partners.